The latest WWE news heading into Monday’s episode of Raw is that there are four huge matches scheduled for the latest episode. 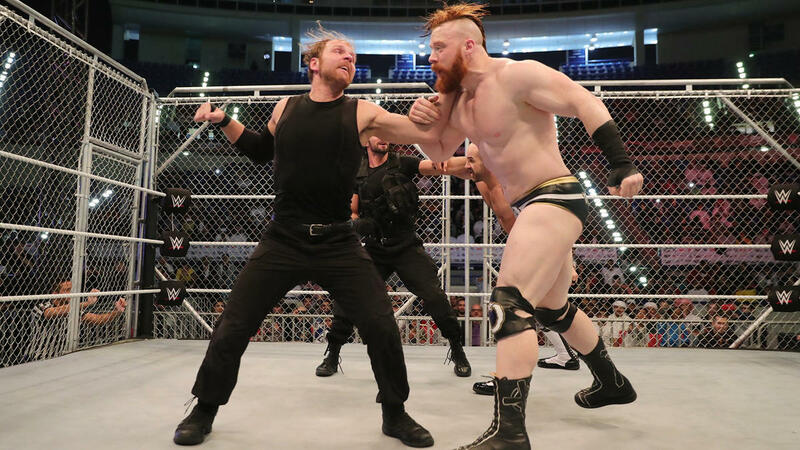 One of those matchups will feature the latest rivalry that Braun Strowman has been a part of, while the other features the latest rivalry for the members of The Shield. All four superstars will be battling opponents featured in their latest feuds. Here’s a look at what to expect when the “red brand” goes live on Monday night from Quicken Loans Arena in Cleveland, Ohio. As WWE.com reported, the latest installment of the Monday night show will feature The Shield battling The Bar and Samoa Joe. However, this won’t be a six-man tag team match for the superstars. Instead, they’ll all be split up amongst three different matchups. Roman Reigns will take on Cesaro in one match, just days after Reigns was able to defend the Intercontinental Championship against Triple H as part of the WWE’s Abu Dhabi tour. Meanwhile, Seth Rollins battles Sheamus in another singles match. In the third matchup, “The Lunatic Fringe” Dean Ambrose has his hands full with Samoa Joe. Cesaro and Sheamus continue to hold onto the WWE Raw tag team title belts. Since the tag team champions will be split apart for matches, there won’t be any possibility for a title change on Monday night. As of this report, there is also no word of Cesaro challenging for the WWE Intercontinental Championship when he takes on Roman Reigns. However, a win would certainly give him reason to demand a future shot at the title. The fourth matchup that was announced for Monday’s episode of WWE Raw features “The Monster Among Men” Braun Strowman taking on “The Big Red Machine,” Kane. These two have been at each other’s throats, literally, for weeks now. Kane previously attacked Strowman along with The Miz, Cesaro, and Sheamus at the WWE TLC: Tables, Ladders, & Chairs 2017 pay-per-view. “The Devil’s Favorite Demon” ended up paying for it when Strowman powerslammed him straight to hell, through the mat in their previous match. Braun is coming off last week’s incident where he destroyed Elias using a powerslam and other moves before Kane appeared with a message from the big screen. During Kane’s appearance, he talked about how much he delights in extracting pain from opponents and will prove that there’s only one true “monster” in the WWE. On Monday night, Strowman gets a chance to bury Kane under the mat once again, although one has to think the longtime WWE superstar will bring his best fight. Fans can watch the latest episode of WWE Raw beginning at 8 p.m. Eastern Time on the USA Network Monday night.